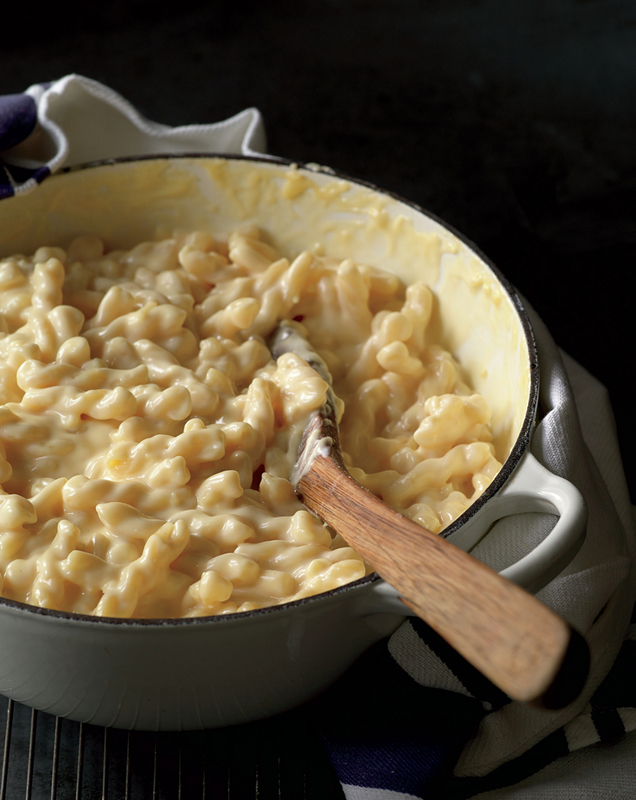 I adore mac and cheese, but I'll be honest and say that most of the time it comes from that blue box. You see, that's what I grew up with. And when I'm feeling a little under the weather and I'm not ambitious enough to make real food, I grab the box. 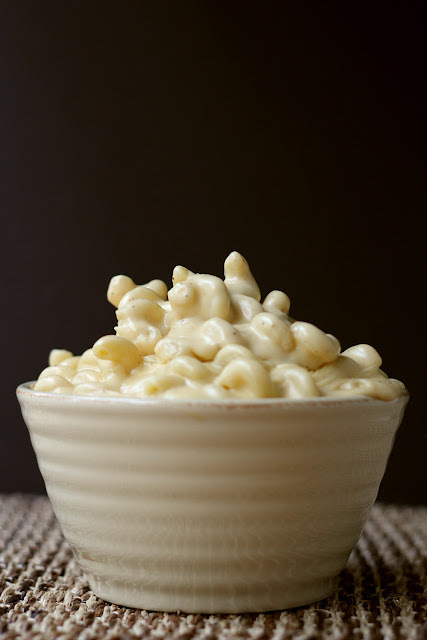 Once in a while, though, I decide to make a "real" mac and cheese - baked, slow cooked, or stovetop. Sometimes it's just a hodgepodge of whatever cheeses are lurking in the refrigerator, and sometimes I follow a recipe. 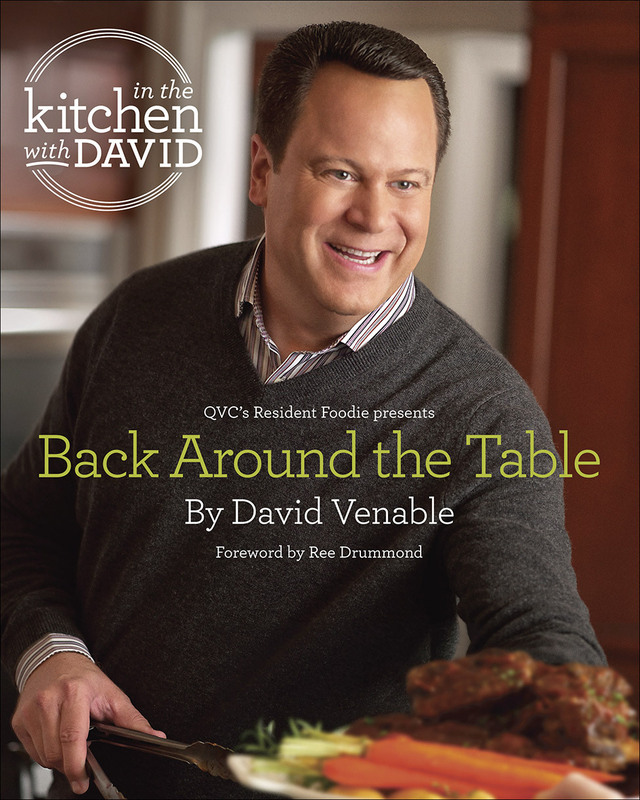 So when I was offered a copy of Back Around the Table by David Venable to cook from, the mac and cheese recipe sounded really appealing. I mean, who doesn't want a 15-minute recipe. Truth is, I knew it would take a tad longer than 15 minutes, because noodles take a notoriously long time to cook up here at high altitude. But that's okay. Twenty-ish minutes is fine, too. It gives me time to slice a few tomatoes while the noodles coooooooooooooook. Anyone who knows me knows that I love macaroni and cheese. It is, hands down, my favorite dish in the world. But, I have to admit, mac ’n’ cheese takes time to make and bake, so I decided to create a streamlined, stovetop version that doesn’t skimp on flavor or creaminess. The best part—besides its scrumptious goodness—is that it takes just fifteen minutes. I use five cheeses—smoky Gouda, nutty Gruyère, fruity Asiago, and two sharp Cheddars. Gemelli, which means “twins” in Italian, are a short double-twisted pasta shape that holds on to the sauce. If you love melted cheese, sprinkle some additional Cheddar on top and place the pot under a preheated broiler for 3 to 4 minutes. Of course, I would always recommend adding some divine swine—like cooked, crumbled bacon on top! Melt the butter in a Dutch oven over medium heat. Add the flour and mustard and stir with a wooden spoon or whisk until a thick paste forms, 2 to 3 minutes. Stir in the cream and bring the mixture to a simmer, stirring until the sauce becomes thick. Add the Gouda, Gruyère, Asiago, yellow Cheddar, and white Cheddar, stirring the cheeses until melted and the sauce is smooth. Add the cooked pasta and stir well to combine. Stir in the sour cream, salt, and white pepper and cook until the ingredients are combined and hot, 2 to 3 minutes. This recipe is from the book, IN THE KITCHEN WITH DAVID : QVC’s Resident Foodie Presents Back Around the Table; © 2014 by David Venable. Reprinted by arrangement with Ballantine Books, an imprint of The Random House Publishing Group, a division of Penguin Random House, Inc. All rights reserved. 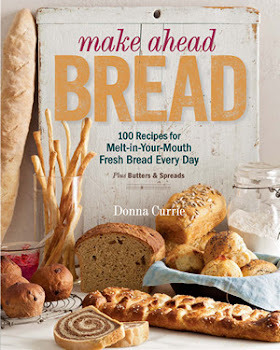 The book goes on sale today! After a quick inventory, I saw that I was short by a few specific cheeses. I had gouda, for example, but not smoked gouda. I had yellow cheddar, but not white. I was about to say "close enough" but then I hit the cheese counter and went weak at the knees and wanted to take them all home. It always happens. I stare at the cheeses and want to bring home my favorites and try all the ones I haven't tried before. But I did buy the cheeses required for this recipe. Let me be honest. I have a love-hate relationship with smoked Gouda. I like it, but in some recipes, it's too strong. So I was a teeny bit concerned about using it here. Turns out that I needn't have worries. It added a slight smoky flavor, but it wasn't overpowering. When I first saw the recipe, I was going to use wagon wheels for the pasta, because I had them on hand and I think they're cute. But when I went to the store and saw some corkscrew-shaped pasta called cavatappi, I bought that. What the heck. It looked fun, and it was closer to the shape used in the recipe. I cut this recipe in half, and I was really happy to see weights rather than volume measure for the grated cheese. No two people are ever going to measure a volume of grated cheese the same - heck, one person probably wouldn't measure it the same twice. Everything worked well, except that I thought there might have been a tad too much sauce for the pasta. But that's a personal preference, and it also might be affected by the shape of the pasta.